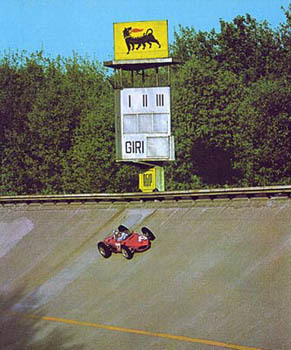 After watching the “greatest spectacle in racing” yesterday I was reminded of another legendary high-speed oval located in a park-like setting near the northern Italian city of Monza near Milan. Like the legendary Brickyard of the Indianapolis 500, Parco di Monza is the home of the Autodrome Nazionale di Monza, the biggest motor sports centre in Italy and one of the most complete and famous in the world. There are 3 tracks in the complex including a 6.214 oval circuit tract with a history as legendary as the Indianapolis 500 with truly incredible speeds and crashes. The banking of the track caused many fatal accidents especially in the early years of Formula 1 racing. See what it is like to have driven Monza. I-Racing, one of the leading on-line racing sim games sites, is planning to add Autodromo Nazionale Monza to its catalogue of laser-scanned versions of the world’s great race tracks and I can’t wait to take a drive on this legendary circuit. 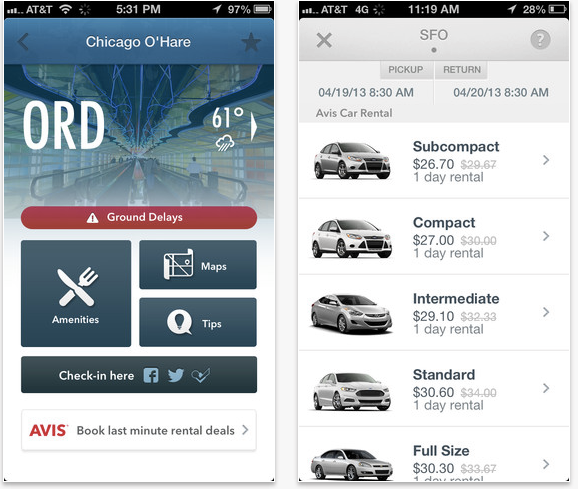 A recent Bing search yielded 118,000,000 results for travel apps all promising to reinvent the way we travel. Time Out, an “event guide for every neighborhood in the world” tells us that the best travel apps should not only help with booking, travel times and delays but need to be innovative and, in their words, “quirky and space age”. If you’re interested in their choice of the World’s 50 Best Travel Apps that are essential to navigate, explore, plan, pack, tip, foodspot, translate, journal and document your travels click here. I’m not sure you need all 50 and since I’m not planning a trip to the International Space Station anytime soon I’m not sure how space age my travel apps need to be. I’m more interested in an app that populates with critical information that helps me navigate through the airport and organize my itinerary. Gate Guru looks like it fits the bill. This travel app is designed to keep you posted in real-time on any updates to your itinerary such as security wait times, flight delays, gate changes, layover time adjustments or weather forecasts. There’s a feature called Amenity List that automatically connects the relevant parts of your travel day based on your flight information so that you can easily find the nearest restaurant, shop or coffee bar for a pre-flight espresso. Gate Guru is a Trip Advisor company which gives me a level of confidence as I consistently use them to search for flights and accommodations and look at their reviews which often read like mini travel journals with insight and information from fellow travelers. I’m eager to try this app on my next flight into Malpensa.